Welcome to Lynoras where the culinary traditions of the Abbenante family continue. 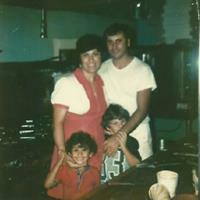 The South Florida history began in 1974 when Raffaele and Maria immigrated from the tiny Italian island known as Ponza began selling pizza by the slice in Lake Worth. Before long that little pizza shop had turned into something special. Maria, using her Mom’s traditional Italian recipes, opened Lynoras Restaurant on Lake Worth Road just west of Military Trail in 1976. 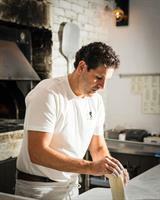 Using the secret of traditional Italian cooks, making each dish fresh with the finest local sourced products. Over the next 35 years the family; parents and children served thousands of residents and visitors traditional Italian food. Lynoras became known as the Best Italian restaurant in South Florida. As all things change, so has Lynoras. The Lake Worth Road restaurant closed years ago and Rafaelle and Maria planned to retire. But soon another opportunity arose and they came out of retirement, you see it is hard to leave the restaurant business when cooking and serving guest runs thru your veins. In 2014 the Abbenante family united to open the new Lynoras combining the best recipes from the past with new alternative dishes. Maria still demands the finest ingredients be used in her recipes. At Lynoras you will find classic Italian dishes with a modern twist, a blend of new and old world ingredients featuring locally sourced produce and fresh seafood blended with the best of the old world aged Italian cheeses, olives and meats. You are going to love the variety, the fusion of old and new recipes.